Having made upwards of $260 million in the U.S. alone, Ryan Reynold’s raunchy, sarcastic superhero flick Deadpool has smashed all kinds of box office records. It was the biggest R-rated opening, the biggest opening for a 20th Century Fox feature, the biggest Valentine’s Day opening, and the biggest opening for a first-time director. And considering it did all of that with only a $50 million budget, it’s probably worth examining what made the film so popular and what it’s saying to its massive audience. That’s exactly what Richard Brody does in a New Yorker article titled “The Deadpool Phenomenon And The American Male.” Though the film has been lauded for its gory, flippant, filthy style, Brody suggests that Deadpool is actually a far more conventional movie than its meta trappings would suggest (something The A.V. Club’s own A.A. Dowd pointed out in his review). For all of the discussion of Reynolds’ Wade Wilson as an irreverent figure, Brody suggests he actually fits quite comfortably into a traditional mold of Hollywood masculinity. 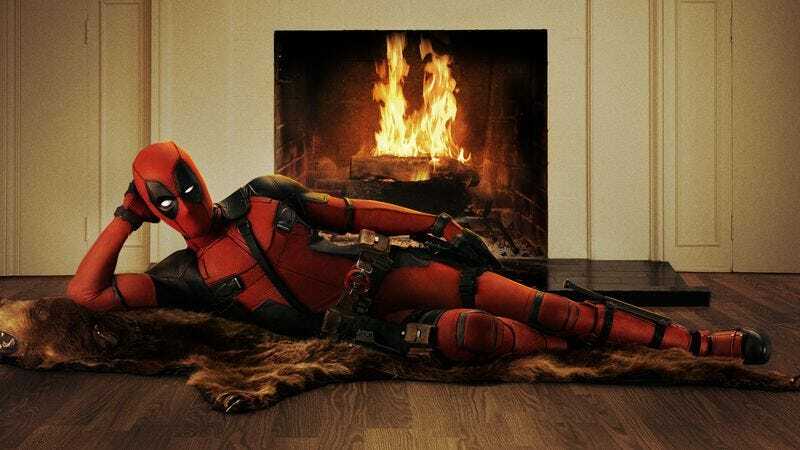 For all the potty-mouthed splashiness of the dialogue, for all the hectic violence of the action, for all the central couple’s blatant and sophisticated (but briefly shown) eroticism, Deadpool is a movie of crystalline purity, of redemptive virtue. (I’m reminded along the way of a high-budget, high-concept, high-energy version of “Clerks.”) Miller and his screenwriters, Rhett Reese and Paul Wernick, display an earnest faith in the realization of their idea: that American males want to be bad boys and good men. “Deadpool” is altogether innocuous—and that’s what’s wrong with it. Read more of the article, which also asserts Reynolds is merely doing a Jason Schwartzman impression throughout the film, over at The New Yorker. Or check out our own in-depth look at Deadpool’s comic book history.